Gilded, oak ‘Kurul’ chair from the early 1600s. The cherub’s head and Christian IV's monogram were added in the 1800s. 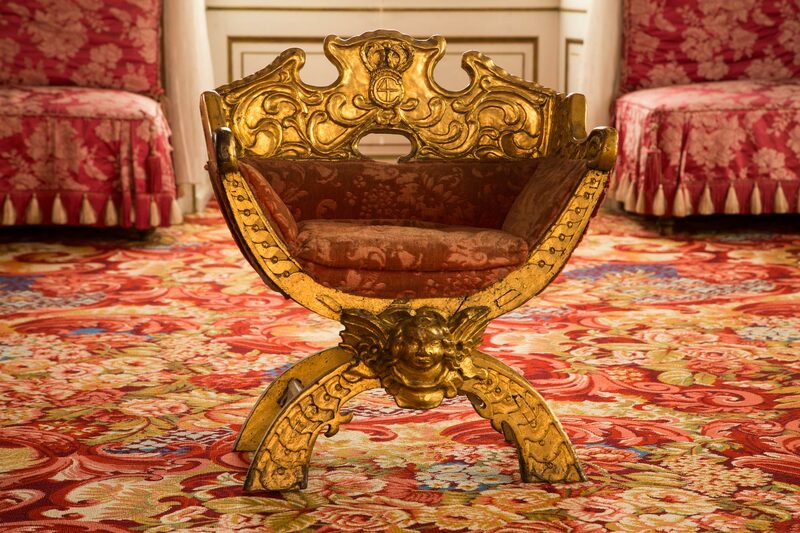 The chair was allegedly saved from the 1859 fire at Frederiksborg Castle.